Planning a party or looking for something easy to bring to a party or family gathering? This simple and sweet pumpkin dip will impress your guests and save you time in the kitchen. Easily prepared in just ten minutes, it works well for guests of all ages and can be served as an appetizer, dessert, or snack. You can pair it with graham crackers, ginger snaps or for a healthier snack, apple slices. Four grams of fiber can be found in each half-cup of pumpkin puree. 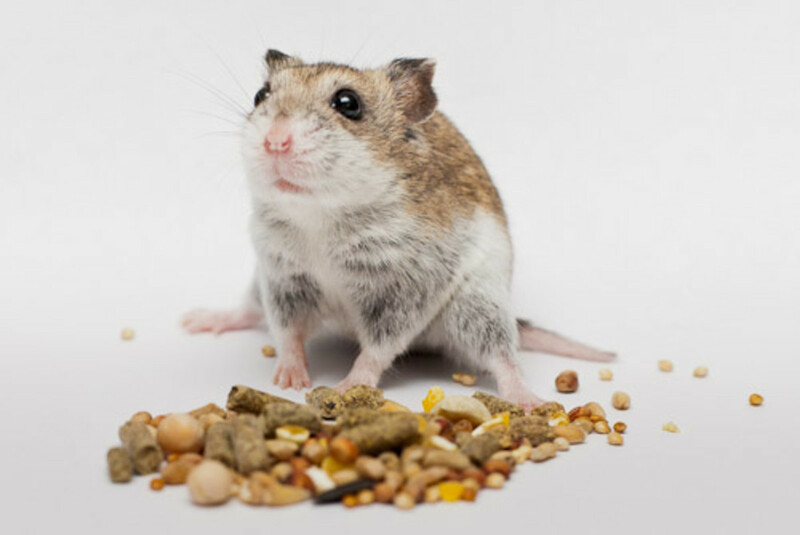 A high-fiber diet helps to lower heart disease risk, improves digestion, and helps manage your appetite by making you feel full faster. According to the most recently published Dietary Guidelines for Americans, the daily dietary fiber requirement is 25 grams for women and 38 grams for men. 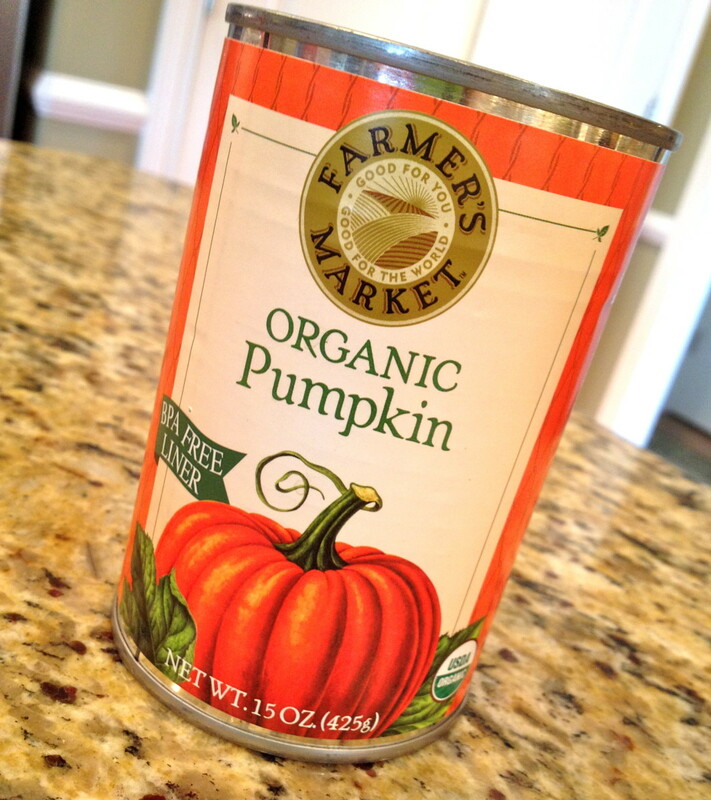 Pumpkin puree supplies seven times the Recommended Daily Allowance (RDA) for Vitamin A in a single, one-cup serving. Vitamin A is important for good vision and a healthy immune system. The beta carotene found in pumpkin is a powerful antioxidant that helps protect cells from free radical damage. Iron carries oxygen through your red blood cells to all parts of the body, affecting energy levels. Pumpkin is a great source of this mineral. One cup provides 3.8 milligrams of iron. Potassium is important to healthy heart function, helping this muscle and all the other muscles in your body to contract. Nerve cells in the body use potassium to communicate throughout the body. Pumpkin provides a good supply of this nutrient. A versatile and healthy ingredient, pumpkin puree can be incorporated into many recipes. 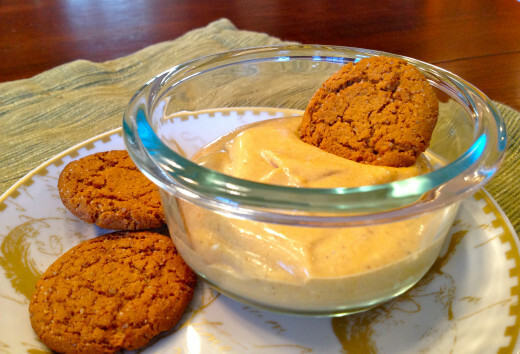 This pumpkin dip recipe offers just one way to use pumpkin in cooking. Here are some other suggestions. Use pumpkin puree to add more nutrition and a little more bulk to your favorite chili recipe. Try this Three Bean Pumpkin Chili recipe. Pumpkin puree works great in stews and creamy soups. Try this Squash, Chickpea & Lentil Stew recipe. Most have enjoyed a slice of pumpkin bread, usually around the Thanksgiving holiday, but you can incorporate pumpkin puree and many types of breads, muffins and other baked goods. 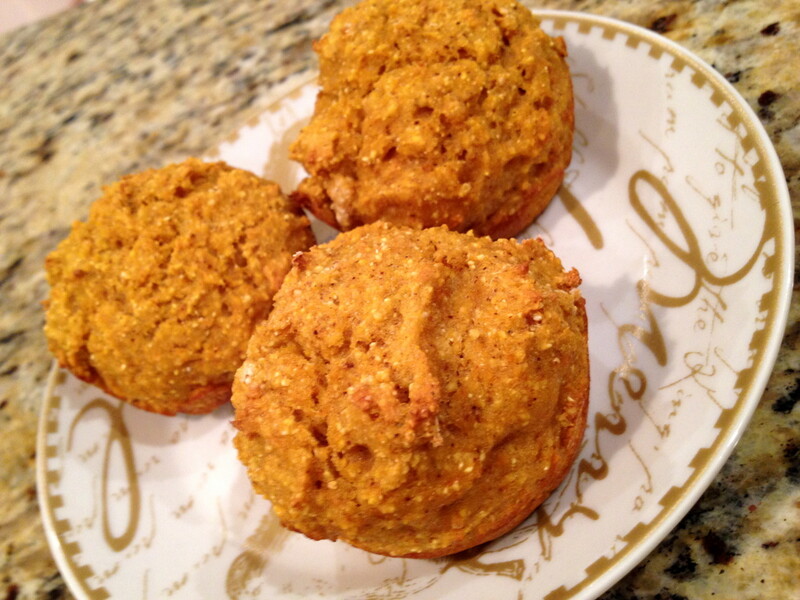 Try these Pumpkin Cornbread Muffins. 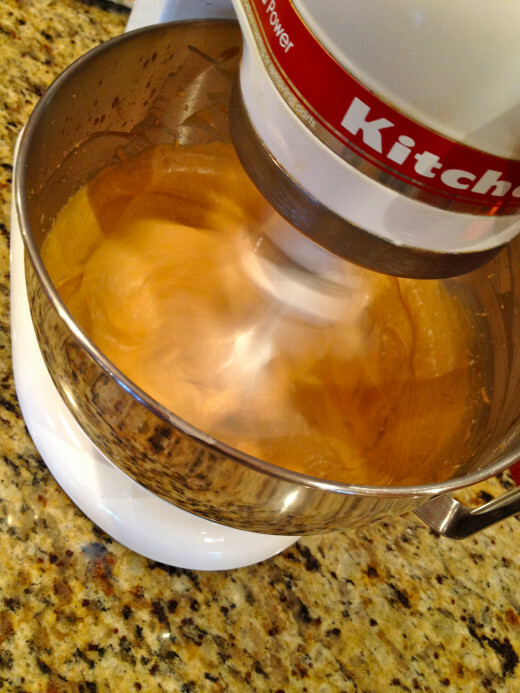 Use pumpkin puree in place of oil in baked goods like brownies, sweet breads, and cakes. You will maintain the flavor while lightening up the recipe's calorie and fat content plus you will be adding healthy fiber (hint: unsweetened applesauce is also a good substitute here). You can make this dip up to two days in advance. Check out the dip options below but don't be limited to these suggestions. Be sure to save a little for an easy, low-calorie snack with apple slices. 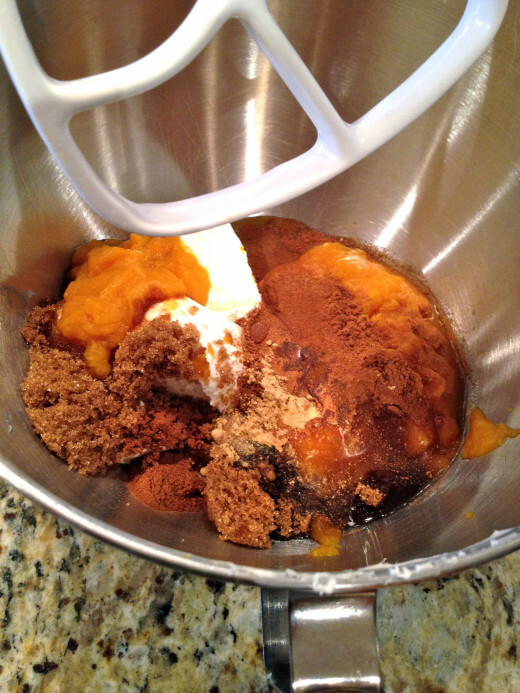 Beat cream cheese, brown sugar, and pumpkin in a medium bowl with a mixer at medium speed until well combined. Add syrup, spices, and vanilla and beat until smooth. Cover and chill 30 minutes before serving. This organic pumpkin puree is the next best thing to using fresh pumpkin puree. The advantage of using canned pumpkin is the time saved preparing a recipe. Using this organic product will keep the flavor fresh plus you will not need to worry about pesticide residue. Find this and a few other organic brands at whole food stores on online. Typically prices are less expensive when purchased online. This beautiful green hummus pairs spinach and arugula with traditional hummus ingredients for a delicious, quick and healthy dip. Learn about these power greens and why you should make hummus at home. Make this beautiful and healthy hummus appetizer for your next party or to enjoy at home. 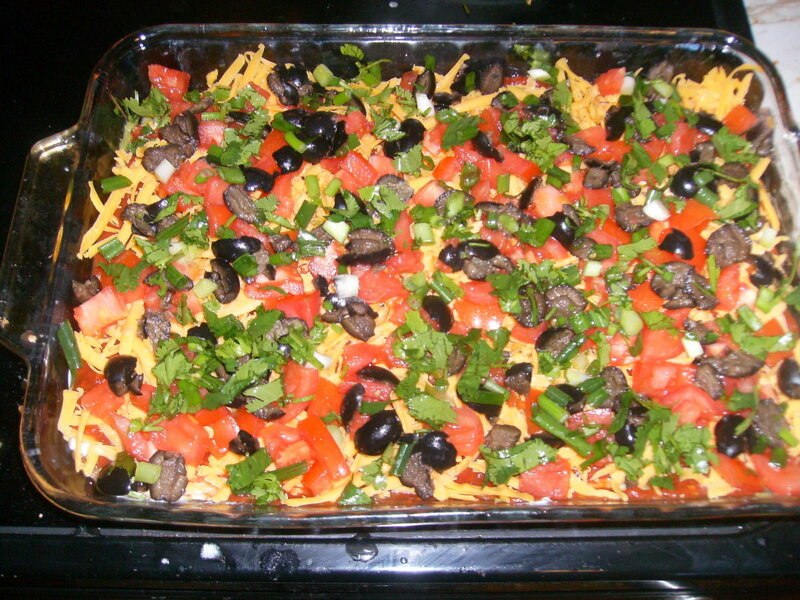 This quick and easy-to-follow recipe includes step by step pictures and serving suggestions. 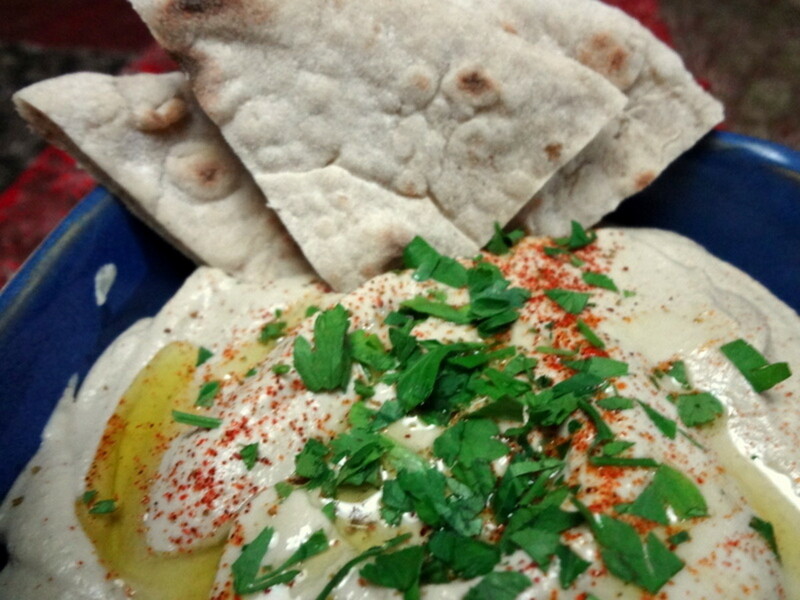 Try these two very different hummus recipes - one spicy, one traditional! Both are easy to make and super healthy. Corleone, Jill. "What Are the Health Benefits of Eating Pumpkin Puree?" LIVESTRONG.COM. LIVESTRONG.COM, 11 Jan. 2014. Web. 11 Sept. 2014. <http://www.livestrong.com/article/469900-what-are-the-health-benefits-of-eating-pumpkin-puree/>. I love pumpkin puree and often use it as a fat substitute in baking. I also add a sweetener to it and then eat it as a dessert. 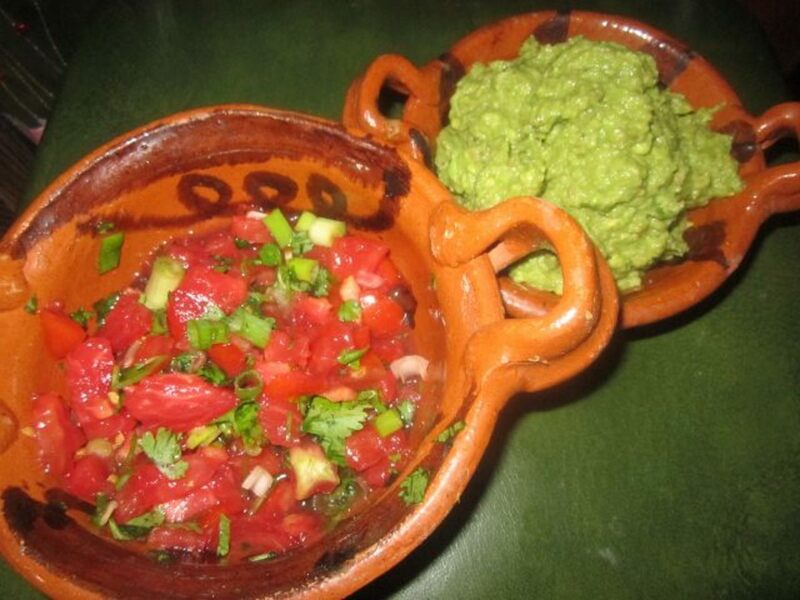 Your dip recipe sounds delicious! What a great way to use pumpkin puree. Yum! I tried it a few years ago at a party, but never had the recipe until now. Thanks! Thank you, creatively, purl3, jerzimom and Susan! Love your comments! 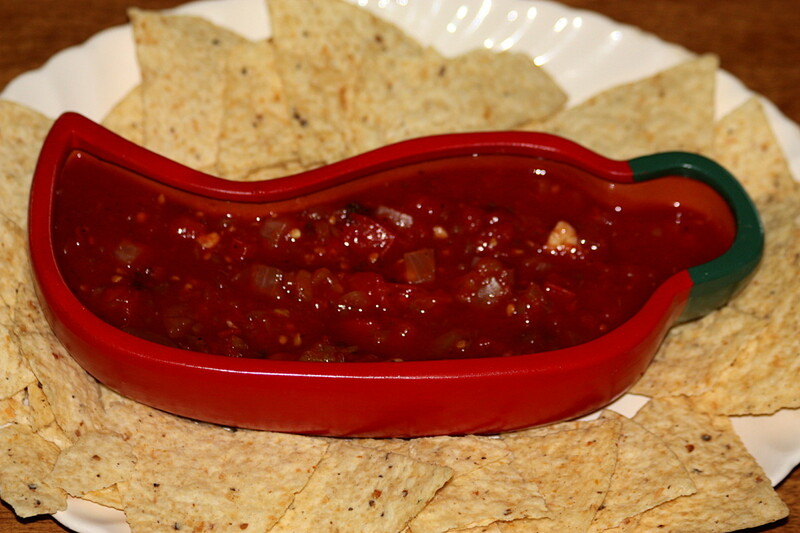 This is such an easy and yummy dip to make. My kids really love it (especially dipping gingersnap cookies). Wow.. This pumpkin dip sounds good. Thanks for sharing. This sounds really good. Ive never heard of it before.